Wedding bouquet charms, Cuff Links, Bracelets, Earrings, Personalized Jewelry, Resin Accessories and more. All items are 100% customizable. 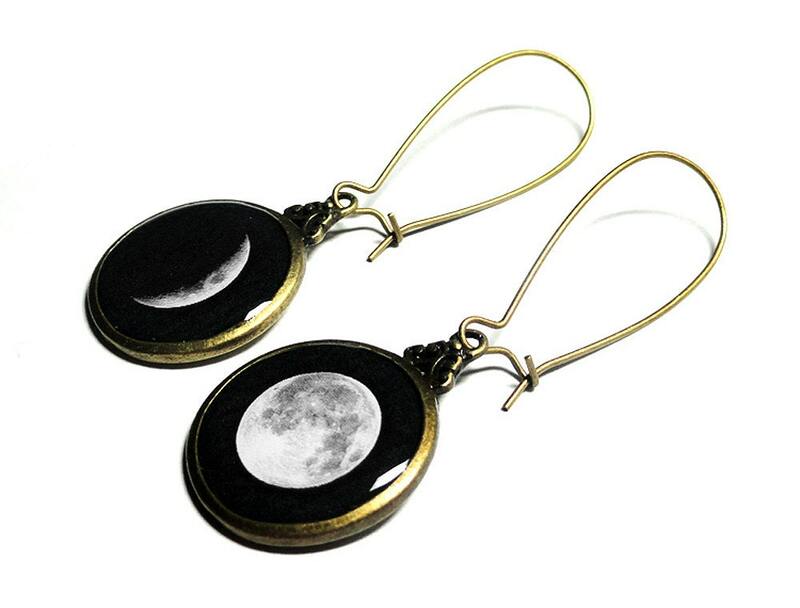 These wonderful moon phase earrings measure 1" in length and about 2" total drop including the ear wires. 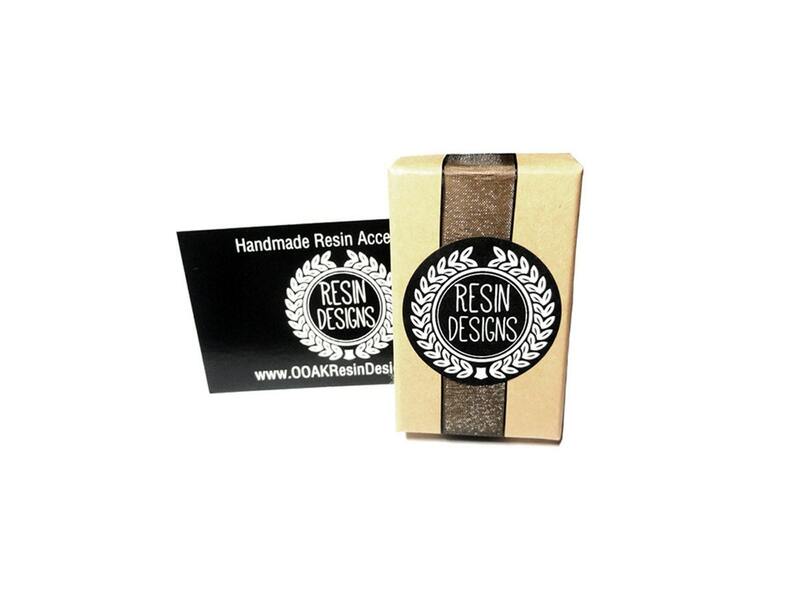 They are made using the finest jewelers grade resin in order to preserve and enhance the images. The earrings are waterproof but you would want to dry them gently with a cloth should they happen to get wet. Your item will be packaged in a Kraft jewelry box as shown. ► Love it and want to buy later? Click on the ♥ heart that says "Add item to favorites." ► Want it now? Click the "Add to cart" button. ► Special request/contact me? Click the "Ask a question" link on the right. The Items in the shop are just samples of what I could design for you. With an extensive background in graphic design, please contact me and let me know if you have something special in mind. I would be honored to begin working with you to create a custom one of a kind and memorable item. Most items are made to order in which case they will ship within 3-5 business days. All US orders ship using your choice of USPS First Class or Priority Mail with tracking and international orders ship VIA First Class mail with the option of Priority International. All shipping options are available once you add your item(s) to your cart. Each item I create is 💧 waterproof. Please note that if the item should get wet, you would want to dry it gently with a soft cloth and it will be fine. I think the best advise would be to treat it the same as you would any nice piece of costume jewelry and it will last. The simplest way to avoid tarnish and damage is to store your piece in a sealed 'Ziploc' style bag or in an air tight container. The air causes metal to oxidize thus giving a dull appearance. Using a good jewelry cloth to polish your item also works very well. Priority and Priority Express shipping is available. By selecting Priority or Express shipping, you acknowledge that this is in addition to the processing time of creating your item(s). 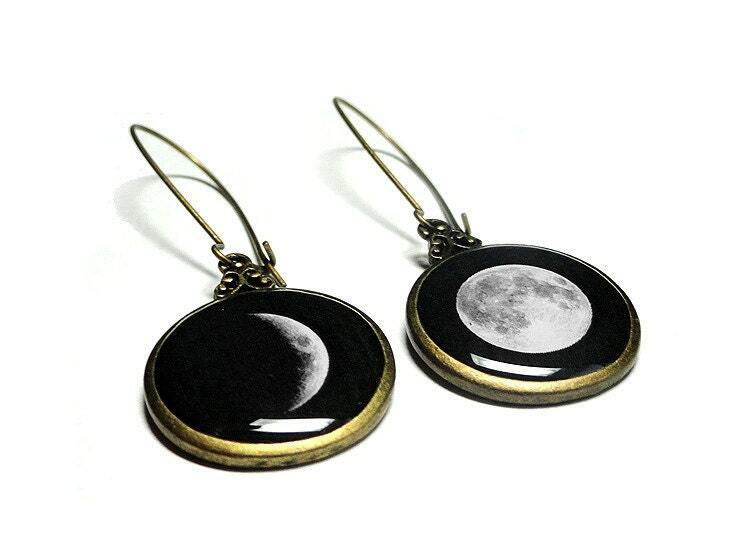 The earrings are gorgeous, and the images of the moon are so clear. 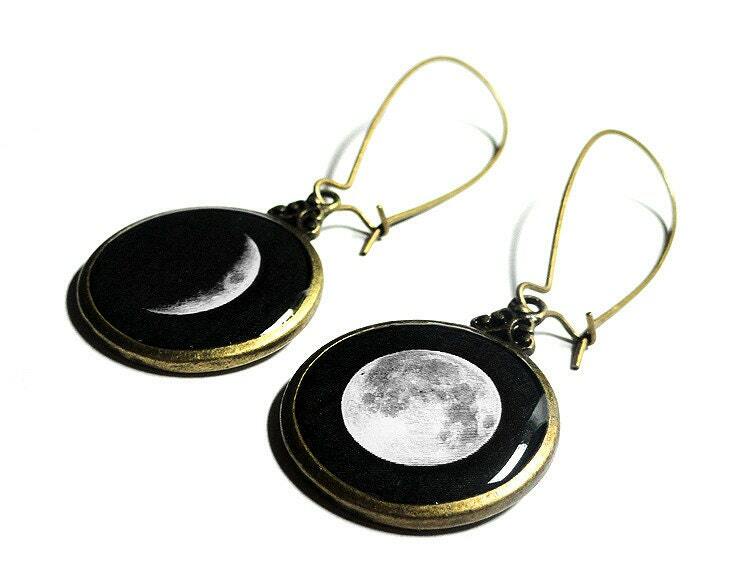 The ratio of the black background to the size of the moon image is just the right proportion to make them pop. Shipping was on time, and the seller was meticulous in making certain I was pleased with my purchase. Highly recommend.